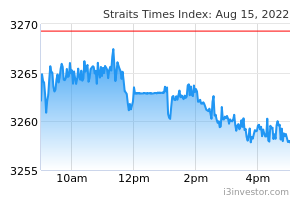 Maintain BUY with lower DCF-derived Target Price of SGD0.77 from SGD1.35, 26% upside. 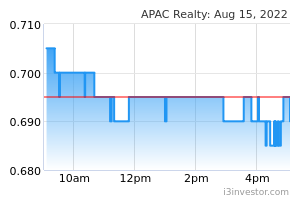 APAC Realty’s recent share price performance did not pan out as per our earlier expectations, as it was negatively impacted by the listing of Propnex and the unexpected implementation of property cooling measures by the Government. While transaction volumes are expected to slow due to the cooling measures, we believe the steep share price fall has already factored in most of the negatives. The stock still offers an attractive FY18F dividend yield of ~6%, based on our revised earnings. It is trading at a 25% discount to global peers (FY18 P/E) and a 35% discount to Propnex’s historical FY17 P/E. the unexpected implementation of property cooling measures that dampened market sentiment. While volumes are expected to drop, we believe the impact on agencies will be mitigated by several factors. Firstly, developers have started countering the measures by being more realistic in their pricing expectations and are offering discounts (5-10%) in new launches, which should draw more first time buyers. Our channel checks shows that ~200 more units have been sold this week in new launches post measures, which is encouraging. Developers are also offering higher agency commissions in a few of the new launches (3-4% vs the typical 1.5%) to incentivise agents. Note that developers are bound by the stringent 5-year timeline to sell all units in projects, failing which they would have to pay stiff additional buyer’s stamp duty (ABSD) penalties of 15%. The above segments’ earnings are very stable in our view, and should not be impacted by the recent cooling measures. Management also plans to diversify its earnings by expanding to Indonesia and China. Post the recent measures, we now expect overall transaction volumes (both primary and secondary) to fall by 10% in 2018 (from 12-15% increase) and have assumed a further 5% fall (from 1-3% increase) in transactions next year. Based on our sensitivity analysis, every 5% change in volumes will have an 8% impact on our FY18F net profit forecast. The yields are comparable to the S-REIT sector’s average yields and should support share price. Gearing (net debt/equity) is expected to remain low at 1.5% post the expected completion of the acquisition of commercial property by August. We have lowered our FY18F-20F net profits by 22-35%, mainly on lowering our transaction volume assumptions. APAC is trading at 9.5x FY18 P/E, a 25% discount to its global peers. Its closest peer Propnex is trading at 13.3x historical FY17 P/E, a 54% premium to APAC Realty’s FY17 P/E.